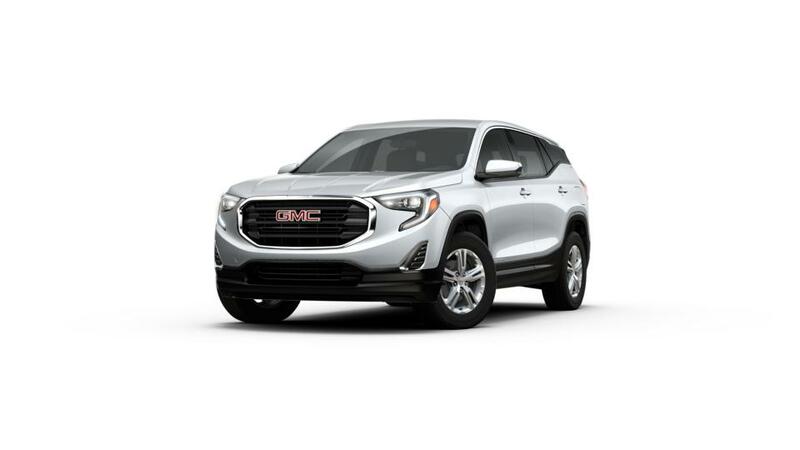 Take an additional $2,176 off this new 2019 GMC Terrain! What an awesome deal on a brand new SUV! Own a non Buick/GMC vehicle in the household? Enjoy a special discount! 1MUST USE HARDIN BUICK GMC'S FINANCE INSTITUTIONS 2THIS IS THE GENERAL MOTORS CONQUEST INCENTIVE FOR CURRENT OWNERS/LESSEES OF A 2005 OR NEWER NON GM (I.E., NON-BUICK, CADILLAC, CHEVROLET, GMC, HUMMER, OLDSMOBILE, PONTIAC OR SATURN) PASSENGER CAR OR TRUCK 3Not available with lease and some other offers. See dealer for details. 4HARDIN'S EASTER LEASE SPECIAL IS FOR A CLOSED END LEASE 2019 GMC TERRAIN SLE FOR $169 PER MONTH PLUS TAX, FOR 36 MONTHS ON APPROVED TIER ONE CREDIT THROUGH GM FINANCIAL. $0 SECURITY DEPOSIT, $2,999 DUE AT SIGNING (INCLUDES 1ST PAYMENT, TAX, LICENSE FEES) AFTER APPLICATION OF $3,500 SELECT MARKET INCREMENTAL CCR PROGRAM AND CURRENT NON-GM LESSEE REBATE OF $1,500 (MUST HAVE A NON-GM LEASE IN HOUSEHOLD) FOR A TOTAL OF $5,000 IN CASH REBATES. 10K MILES PER YEAR AND $.25/MILE THEREAFTER. SEE DEALER FOR DETAILS. MUST TAKE DELIVERY BY 4-30-2019. 5Monthly payment is $13.89 for every $1,000 you finance. Average example down payment is 4.5%. Some customers may not qualify. Not available with leases and some other offers. Take retail delivery by 4/30/19. See dealer for details. 1THIS IS THE GENERAL MOTORS CONQUEST INCENTIVE FOR CURRENT OWNERS/LESSEES OF A 2005 OR NEWER NON GM (I.E., NON-BUICK, CADILLAC, CHEVROLET, GMC, HUMMER, OLDSMOBILE, PONTIAC OR SATURN) PASSENGER CAR OR TRUCK 2Not available with lease and some other offers. See dealer for details. 3Monthly payment is $13.89 for every $1,000 you finance. Average example down payment is 4.5%. Some customers may not qualify. Not available with leases and some other offers. Take retail delivery by 4/30/19. See dealer for details. Take an additional $3,686 off this previous service demo vehicle! What a deal! THIS IS THE GENERAL MOTORS CONQUEST INCENTIVE FOR CURRENT OWNERS/LESSEES OF A 2005 OR NEWER NON GM (I.E., NON-BUICK, CADILLAC, CHEVROLET, GMC, HUMMER, OLDSMOBILE, PONTIAC OR SATURN) PASSENGER CAR OR TRUCK WHO PURCHASE THIS QUALIFYING 2019 GMC TERRAIN SLT. 1MUST USE HARDIN BUICK GMC'S FINANCE INSTITUTIONS 2PLEASE SEE DEALER FOR DETAILS. MUST PURCHASE VEHICLE BY 4-30-19. 3Not available with lease and some other offers. See dealer for details. 4LEASE SPECIAL IS FOR A CLOSED END LEASE OF THE 2019 GMC TERRAIN SLT PREVIOUS DEMO VEHICLE AND HAS 4453 MILES CURRENTLY. $299 PER MONTH PLUS TAX, FOR 36 MONTHS ON APPROVED TIER ONE CREDIT THROUGH GM FINANCIAL. $0 SECURITY DEPOSIT, $0 DOWN (INCLUDES 1ST PAYMENT, TAX, LICENSE FEES) AFTER APPLICATION OF $2,250 SELECT MARKET INCREMENTAL CCR PROGRAM AND CURRENT NON-GM LESSEE REBATE OF $1,500 (MUST HAVE A NON-GM LEASE IN HOUSEHOLD) FOR A TOTAL OF $3,750 IN CASH REBATES. 10K MILES PER YEAR AND $.25/MILE THEREAFTER. SEE DEALER FOR DETAILS. 5Monthly payment is $13.89 for every $1,000 you finance. Average example down payment is 4.5%. Some customers may not qualify. Not available with leases and some other offers. Take retail delivery by 4/30/19. See dealer for details. 1Not available with lease and some other offers. See dealer for details. 2**see dealer for details** **subject to prior sale** 3Monthly payment is $13.89 for every $1,000 you finance. Average example down payment is 4.5%. Some customers may not qualify. Not available with leases and some other offers. Take retail delivery by 4/30/19. See dealer for details.